Welcome to week 221 of Travel Photo Thursday. My apologies that I am so late, but sometimes things just don’t go as planned. Korea is not blessed with a great climate. We east coast Canadians think that Canada is bad. Try Korea in the frigid cold winter, or the sickening humid summer…not nice. Thankfully, I miss a lot of that since I am able to leave for most of the winter and summer. However, I do love the spring here, and I thought that I’m share some new shots and some not so new of the springtime flowers in Korea. Yesterday was my day off, and rainy and damp. However, the magnolia and the cherry blossoms are blooming. Even the azaleas are beginning to make an appearance. What’s a little bit of rain when there’s flowers to enjoy. I didn’t have my “big” camera with me, but my trusty iphone does okay in a pinch. I didn’t have to travel far for these shots, and all they cost me was a bit of shoe leather, and my phone battery. That’s what I call priceless budget travel. 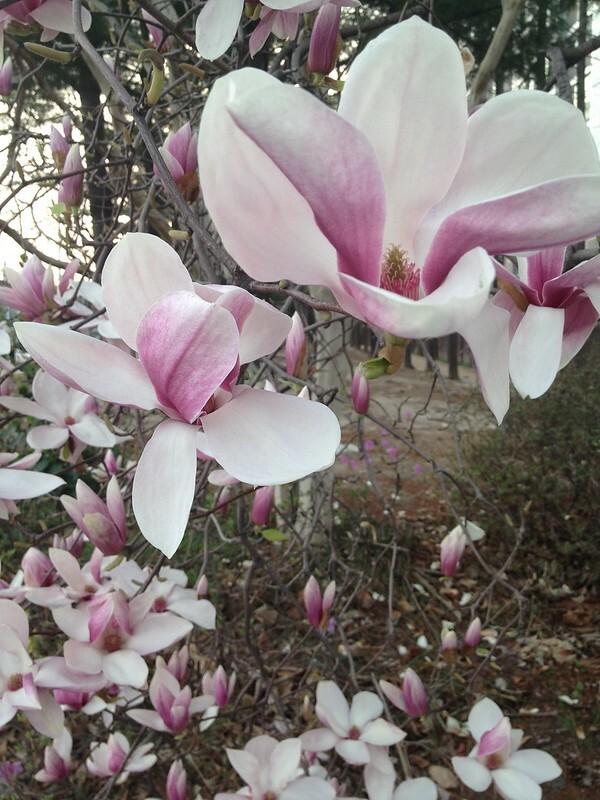 The spring flowers more than make up for Daejeon’s dreary gray buildings… Somebody at City Hall loves magnolias. They’ve been planted all over the city. Strange thing is the white ones are in full bloom, while the pink and white magnolia are still at the bud stage. They’ll be out in full force next week to keep the city basking in flower beauty. A few favorite shots from years gone by…. If you do find yourself passing through Korea in April, do stop and enjoy the beautiful blossoms. You won’t be disappointed! This is the 221st edition of Travel Photo Thursday. You can browse the archives here. Previous Post: « Do You Need Travel Health Insurance When Going Abroad? My daughter is studying abroad in Korea right now and loving it. Hope she gets to see plenty of beautiful blooms this month! Hi Jill. This is the month that the blossoms start, and they seem to be everywhere right now! Hi Lili. Yes, it’s my favorite time of the year here. Wow! It looks like there are a LOT of flowering trees. It must be fun to watch the different trees bloom in waves of color. Hopefully it makes up for the weather the rest of the year! Oh my, isn’t it amazing how blooms can brighten the day – no matter what else may be occurring. We’ve had some amazing blooms this season – early, for here – but they sure have made the last of our winter more pleasant than usual. Great photos Nancie! Hi Jackie. Yes! Flowers are such mood enhancers. I was talking to my Dad in Halifax today, and they are still fighting the snow. There isn’t even the hint of a bud! 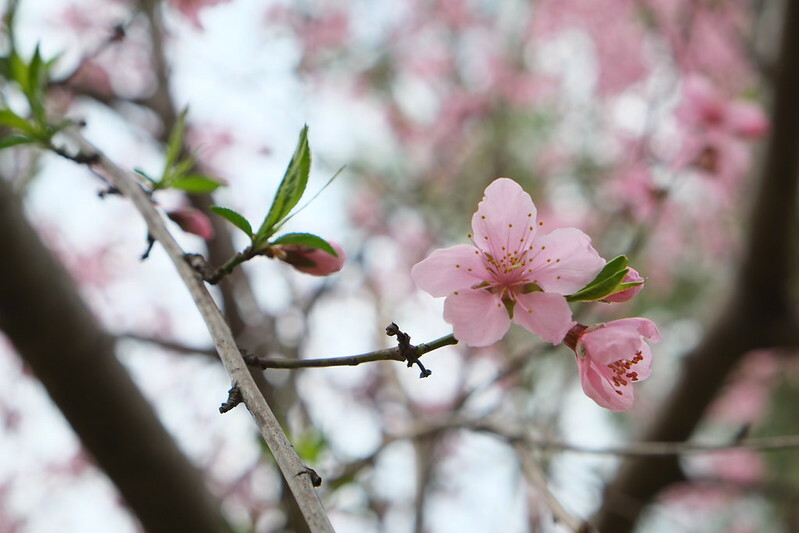 Hi Nancie, thank you for sharing the beautiful spring blooms in Daejeon. They’re indeed beautiful and cheery. We’re still waiting for the sign of spring in New York City. At least, the weather warmed up a bit today and I hope the blooms will follow. I hope your day ended well. Thanks for posting the link-up amidst your busy day. Hi Marisol. I hope you had some spring over the Easter weekend. Spoke to my Dad in Halifax, and they are still fighting snow banks! Nancie, I hear you! I used to have a love/hate relationship with the weather and skies and pollution days in Korea when I lived there. Love, love, love your blooms! Hi Aleah…Come in the spring for the blossoms, but you have to time it well because they don’t last long. The fall colors are nice, too.! Hi Rhonda and Welcome! I’m glad you liked the flowers. I guess you are into autumn in NZ, so I’m thinking not a lot of flowers right now. Love Spring! Glad to see Korea blooming! Great job on capturing those blooms with your phone. 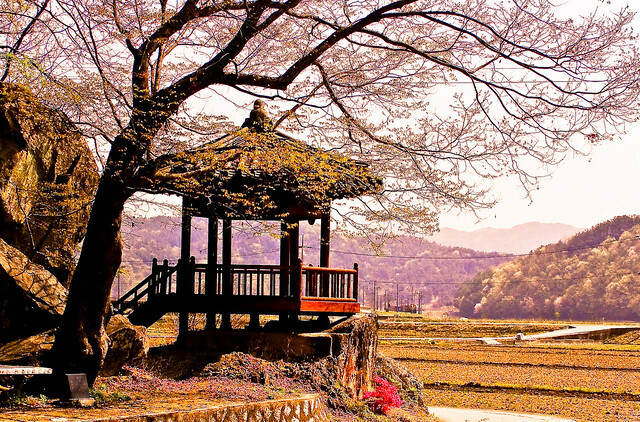 Beautiful photos of Spring blossoms and especially of rural Korea. I can almost feel the petals on those magnolias. Hi Mary! I am always amazed at what great photos I can capture with my Iphone! Your iPhone camera did an extremely good job. Sometimes I do the same as it is not always convenient to lug my big camera around with me. The cherry blossoms are just spectacular and that is one of the reasons I would love to visit Korea or Japan in Springtime. These are lovely. We are still waiting to spring to spring here in the NE U.S. I have nerve seen Asia I spring. I always wound up there in August/September, which has its own weather problems. I love the magnolia blooms! All of the flowering trees are so gorgeous, and a reminder to us that nothing is permanent – they are gone within a few days so we must enjoy each moment. What stunning displays! And how welcome they must be after a dreary, bone-chilling winter. Everyone agrees Korean winters can be extremely trying. Fortunately, there is this to mask the memories. Gorgeous! Hmm. The climate in Korea sounds pretty reminiscent of ours in wonderful Philadelphia — dreary, cold winters and miserably hot and sticky summers, but, yes, there are glorious springs and falls. We’re behind you. No flowering magnolias—or anything else yet. Methinks flowering trees are (almost) prettier than flowering bulbs in springtime! Just stunning!!! It must be lovely to be there in Spring. It’ll be a while before we have flowers here so thank you for the beautiful photos. You’ve shown us that last photo before, and it remains a favorite of mine. In fact, I think it’s one that comes to mind when I think of Korea which I’ve never visited in person. The magnolias and cherry blossoms are gorgeous, and I like that everything is at different stages. I missed the change of seasons when we were living in tropical Penang, so that aspect of being back in the USA has been nice.